New Jersey state treasurer Andrew Sidamon-Eristoff made headlines recently by offering decidedly bullish predictions regarding the prospects for online gambling revenues in the state. As reported in The Press of Atlantic City, a letter sent by Sidamon-Eristoff to NJ Legislative Budget and Finance Officer David Rosen last week estimates that upon implementation online gambling revenues could reach $1.2 billion during the first year, meaning $180 million worth of tax revenues for the state. 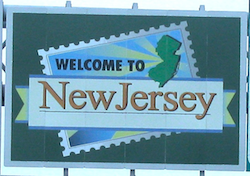 However, not everyone is as optimistic as New Jersey Governor Chris Christie’s administration regarding how lucrative online gambling will prove to be, particularly in the near term. Other researchers and pundits are offering much more modest predictions about what should be expected once online gambling goes live in the state, in particular during the fiscal year beginning July 1 — a date most agree will come and go well before regulations will be finalized and an infrastructure for online gambling will be in place. In his letter, Sidamon-Eristoff goes on to say online gambling could net up to $1.5 billion annually within five years. “At a 15 percent tax rate, this would yield $225 million in revenue to the state,” wrote the treasurer. According to the new legislation, the state’s Division of Gaming Enforcement has been charged to create and implement regulations for online gambling sometime between May and November of this year, a timetable which Sidamon-Eristoff admitted had not been taken into account by the Wells Fargo analyst, Dennis Farell, Jr., whose report informed the administration’s forecast. Meanwhile, others have produced decidedly less sanguine estimates, including the industry research firm Gambling Data who last week produced a study estimating revenues of around $260 million for the first year of online gambling in the state, as reported by John Brennan for NorthJersey.com on Tuesday. Brennan additionally shares a second analysis conducted by the Econsult Corporation on behalf of the Interactive Media Entertainment and Gaming Association (iMEGA) which likewise suggests a much smaller estimate of revenues during the first year than does the administration. The Econsult Corporation projects first-year revenues to fall within the $210-$260 million range, again nearly $1 billion less than the figure projected by the NJ administration. Brennan quotes iMEGA director Joe Brennan (no relation) explaining how the analysis commissioned by his group had been conducted in order to provide support for the legislation prior to its passage, with estimates being intentionally conservative so as to avoid suggesting unreachable expectations. As Grove additionally notes, a significant variable will be PokerStars’ possible involvement with and impact upon New Jersey’s burgeoning online gambling industry, a possibility being debated in various contexts by numerous parties at present including at the ongoing Global iGaming Summit and Expo (GIGse) in San Francisco, as detailed by Haley Hintze yesterday.